Author Guest Post-Jessica Blank PLUS CONTEST! Vampire's Assistant-The Cirque du Freak Giveaway! 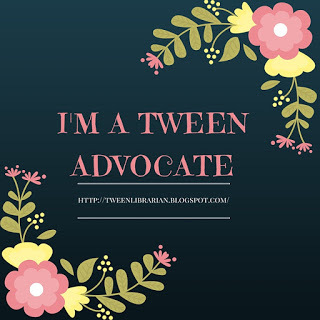 Tween Tuesday is a weekly feature where I blog about great tween reads. If you'd like to host your own Tween Tuesday, add the link in the Mister Linkey and share your tween reads! -The Sisters Grimm are two sisters who find themselves living with the grandmother they thought dead when their parents disappear. Granny's town sure is interesting-she lives in Ferryport and it's home o "Everafters"-characters right out of fairy tales and magical stories. This is a great pick for readers who love mystery, adventure, humor and fairy tales. There's seven books books out now with nine books total to be released in the series. I met Michael Buckley at ALA and he was incredibly charming and funny. I highly recommend this series. If you have readers who have enjoyed The Sisters Grimm, give them Sarah Beth Durst's Into the Wild next. The Sisters 8 is a family outing-mom, dad and daughter are all contributing to the writing. The series is about a set of octuplets whose parents disappear, (where are all the parents in these books? I didn't mean to pick two disappering parent series!) The girls try to figure out what happened to their parents and find a mysterious note that says each girl has a talent and a gift which they must discover to get their parents back. Each book tells about a different sister's adventure with eight books in the series. This series would make a great read aloud and there's plenty of humor mixed in for adults. There's a bit of mystery and the books are a lot of fun. They might look like they're for the younger tween crowd, but I've gotten rave reviews from older tweens who have enjoyed them as well. Want to share some great tween reads? Link your post in the Mister. Linkey! I LOVE the Sisters Grimm books. They are fun, fast-paced, creative, and suspenseful. I can't wait for the next one to come out! 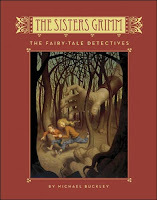 I've never even heard of the Sisters Grimm, but that book looks cool. They both do; I think I am really a tween at heart.